Downtown Concho Avenue with its colorful, historic buildings (and colorful history) was the first main street of San Angelo in the 1800's. Today the area is vibrant - local entrepreneurs offer unique shopping venues and the sounds of live music fill the streets, nightly. Ten historic murals add to the flavor and local artists have painted over 60 fiberglass 'sheep' that you will find throughout downtown and the city. The famous Cactus Hotel built by Conrad Hilton in 1929 towers over the city. The Cactus was his 4th hotel, the largest, most ornate and expensive of that time. In the early 1900's, Miss Hattie's was a well respected gentleman's 'social club' on Concho Avenue. Soldiers from the fort across the river, San Angelo businessmen, and travelers were frequent customers until the historic bordello was closed for the last time by the Texas Rangers in 1946. Miss Hattie's is one of the most visited museums in the city today. 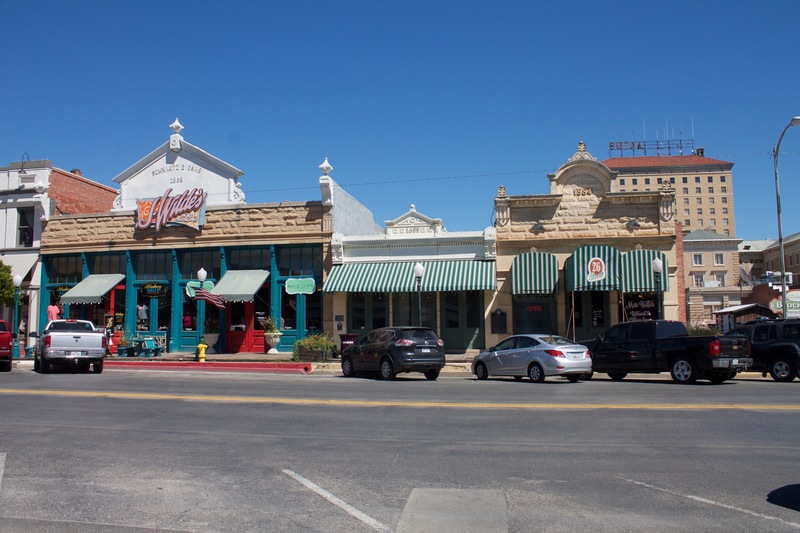 Just south of the river, the Old Town Historic District celebrates the restoration of 5 endangered historic buildings of various architectural styles, including those of San Angelo's pioneer architect, Oscar Ruffini. The 1910 Orient Santa Fe Depot is home to the San Angelo Railway Museum and features two authentic locomotives, a boxcar, and a caboose on permanent display. An earlier depot was rebuilt in 2004 at its original location just north of downtown. Both were built in the picturesque Santa Fe Spanish style with red tile roofs. Read more about the railroad in the history link. Fort Concho, a National Historic Landmark and one of the top restored forts in the country.